Chinese consumer electronics maker Xiaomi has slashed the price of its Mi TV 4A Pro 49 in India. Post the price cut, the smart television by Xiaomi can now be bought at Rs 29,999 in the country. We should add here that this is Rs 1,000 less from the original price of the Android TV-based Mi TV model. It is worth noticing that the new reduced pricing is effective on all official channels where the television is being sold, which includes Amazon India’s website, Flipkart’s e-commerce portal, Mi.com and Mi Hone Stores. The slash in price of the smart TV comes right after the Chinese electronics company reduced the price of its Mi TV 4 Pro 55-inch model – a move which was made so that the television can pose a competition to Samsung’s new lineup of 4K UHD Smart TVs. PatchWall + Android TV and more. Prior to the price cut, the smart TV by Xiaomi was available at Rs 30,999 in India and now, it can be bought at Rs 29,999. As we mentioned earlier, interested buyers can be buy the smart TV via Amazon India. Flipkart, Mi.com and Mi Home Stores. 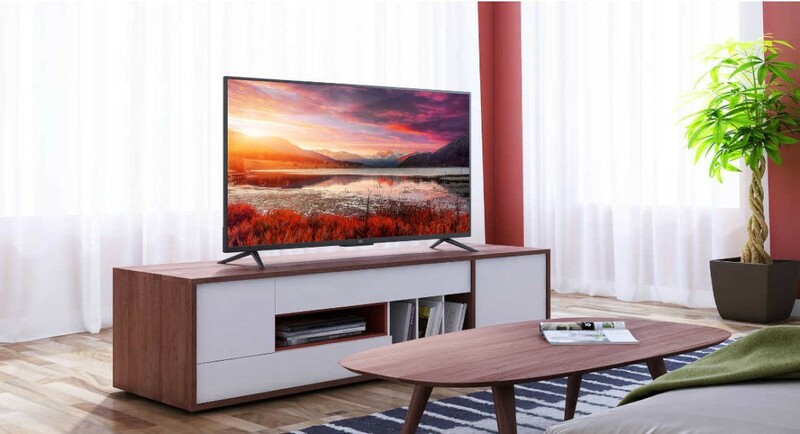 Speaking of the discount that was levied on Xiaomi’s Mi TV 4 Pro 55, which can now be picked up at Rs 47,999, the price of the television was slashed so that the product can rival Samsung Super 6 Series NU6100 4K UHD Smart TV range that was unveiled in India earlier this week. We should also add that in January this year, Xiaomi reduced the price of its Mi TV 4A Pro 49 from Rs 31,999 to Rs 30,999. So, it is not the first time that the cost of the smart TV has received a discount. At the same time, the company also reduced the price of its Mi TV 4A Pro 49 and Mi TV 4A 32. While the former received a price cut of Rs 2,000 and is selling at Rs 13,999, the latter’s price was slashed by Rs 1,500 and can be picked up at Rs 12,499. To recall the specifications of the Mi TV 4A Pro 49, it comes with a full-HD LED display and is powered by 64-bit quad-core Amlogic processor clubbed with 2GB of RAM. The device has 8GB of internal storage and comes with 20W stereo speakers. In addition to this, it runs Android TV skinned with Xiaomi’s PatchWall UI.